If you have a friend or relative who is overweight and can't seem to lose weight, you have probably wondered how to help. You are concerned about their health and you are frustrated because it seems like it is such a simple thing – just stop eating. But when it comes to eating disorder, it's not really about weight or food; it's more about dealing with emotion and stress. With an eating disorder, forcing your friend or loved on to change is not going to help, but encourage and support can make a great difference. Before learning how to help someone with an eating disorder, it's important to understand what eating disorders are about in the first place. 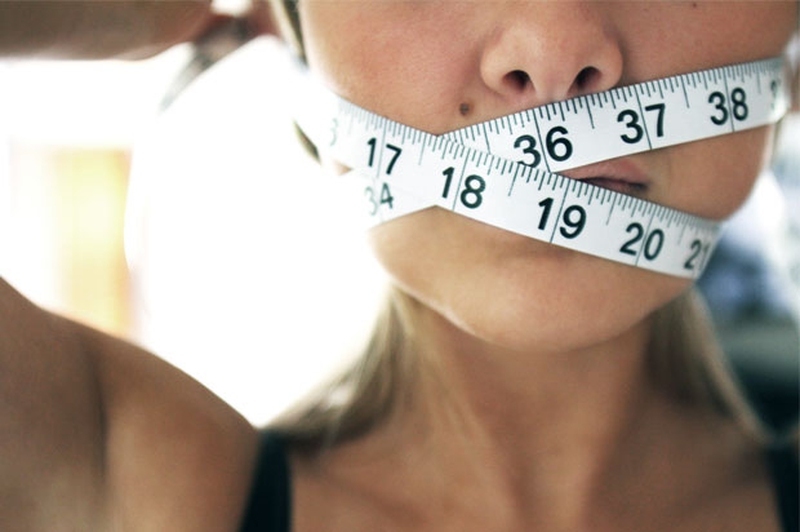 Many people who suffer from an eating disorder show it in different ways. Some people put themselves on a very strict diet while others secretly binge. Others make themselves vomit after meals and some people become obsessed with counting calories. While these behaviors may seem just like unhealthy eating habits that have spun out of control, over time they lead to inaccurate views of their body and the way they handle food. Behind most eating disorders are painful and uncomfortable situations that the person cannot face or deal with. They use the different eating behaviors to feel as if they are in control. When they overeat, it makes them feel better temporarily but they are left with feelings of self-loathing and helplessness. Binge eating – This is where a person eats beyond the point of satisfying hunger and even goes to the point of being uncomfortable. The person eats in a compulsive manner and quickly takes in thousands of calories. Anorexia – People who are anorexic are too afraid to eat and actually starve themselves, sometimes to death. They have a fear of getting fat and will do anything to not become fat. Those who are anorexic have an unrealistic sense of their body and think they are already fat. Bulimia – People with bulimia compulsively eat while out of control until they are past being full, then they make themselves vomit to void themselves of all the food they have just consumed. Set up a time and a place where you are in a pleasant surrounding and won’t be distracted or interrupted. Don’t meet in a place where food is being served. Try to make your friend not feel alone in their disorder by sharing problems you may have had with your relationship to food. Talk with your friend so he or she will know that you know what it is like to have a problem dealing with food. Many people know they have issues with food but don’t believe that they are serious enough to fit into an actual disorder, leading to the neglect of the issue. In this case, how to help someone with an eating disorder is not about putting labels such as anorexia or bulimia on your friend; instead, point out the specific behaviors that you're concerned about. Anyone who has an eating disorder is going to feel unable to discuss this problem with anyone. If you focus more on them and your concerns for their health it opens the way for a different approach to the situation. Use statements starting with "I" to make sure the person knows how much you care about them. Make sure the person feels safe and comfortable to talk. Ask about the person's experiences and feelings. Understanding how your friend feels is important to offer help and support. Be patient as your friend may need some time before he/she can actually talk about the issue openly. Don’t lecture your friend or make him feel like you have all the answers. It will just make him feel even more guilty. No matter what your relationship is to the person, persuading the person to get professional help with a trained clinician is the most crucial part when learning how to help someone with an eating disorder. If your child is under 18 years old – Get your child the help that he/she needs immediately. Do not let anything he/she says or does compromise your position. You need to get to a professional or a facility to begin the process of dealing with this disorder. There could be serious consequences physically that could be a danger to your child. If your friend is less than 18 years old – You may have to go right to your friend’s parents to help your friend get the help he or he needs. The parents may not even be aware of the seriousness of the problem. If the person is more than 18 years of age – The main thing is to be prepared with several suggestions such as visiting a therapist, consulting a nutritionist or getting a treatment program. Legally they don’t have to go but if you offer to accompany them they may consider taking the first step. Being supportive means being there for the person and encouraging him/her every step of the way. Emphasize the person’s qualities that are separate from her looks or weight. When you are with your friend, make it at times that don’t have anything to do with eating. Your friend is already anxious about dealing with eating and food in general. Make sure you don’t make any remarks about your own dealings with food, it will make your friend feel as though you really don’t understand his/her dilemma.